The Iranians are increasing their production of nuclear-capable missiles. Last week the National Council of Resistance of Iran (ncri) identified 12 previously undisclosed missile production sites across Iran. It is a foreboding sign of Iran’s march towards nuclear weaponry. The ncri report details how Iran’s missile program has accelerated since the signing of the Joint Comprehensive Plan of Action (jcpoa). The ncri claims to have gathered its facts from sources within the clerical regime as well as reports from the Ministry of Defense, the Islamic Revolutionary Guard Corps (irgc) and the People’s Mojahedin Organization of Iran (the organization that first revealed Iran’s secret heavy water and uranium enrichment sites). 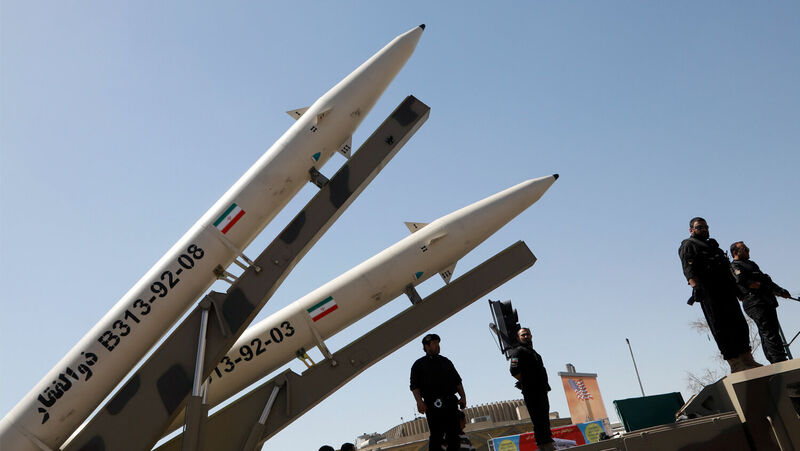 The ncri identified 42 independent missile centers involved in the production, testing and launching of missiles, in a report published on June 20. Some of these bear the hallmarks of Iran’s nuclear comrade, North Korea. The report identifies 15 sites related to missile manufacturing. Many of these sites have several factories churning out weapons components. Combined, the other 27 sites house 25 storage facilities, 13 launch pads, and eight sites for training and deployment brigades. The regime has spent hundreds of millions of dollars to build each one of the centers underground and inside mountains, which sheds light on the magnitude of the resources allocated to its missile program overall. Another interesting point highlighted is where the launch sites are located. The launch sites are primarily in two locations. The first is in the western mountains and central regions. The second batch is pointed directly at the Persian Gulf and Gulf of Oman. Coincidental? Considering Iran’s objectives and the decades of Trumpet warnings, Iran is clearly developing capabilities to aggressively assert itself in one of the most crucial waterways in the world. It is also placing sites as close as possible to Israel, the Middle East heartland, the Mediterranean and Europe. It isn’t surprising that Iran’s weapon sites have North Korean fingerprints all over them. According to the report, many of the missile sites are channeling a particular North Korean vibe. Underground facilities to store and maintain missiles were also developed in line with North Korean models. Who Is Orchestrating the Buildup? Meet Aerospace Force. Under direct orders from Supreme Leader Ayatollah Ali Khamenei, this irgc branch has been spearheading the advancements. Formerly Iran’s air force, Aerospace Force is one of the four primary branches of the irgc. The head of the Aerospace Industries Organization (aio), Brig. Gen. Mehrdad Akhlaghi, is currently sanctioned by the U.S. Treasury Department. The aio has eight different missile industry groups that tackle anything from guidance systems to cruise missile development. But it does not work alone. Meet aio’s best friend, the Organization of Defensive Innovation and Research (or its Persian acronym, spnd). The existence of the nuclear engineering unit called spnd was first exposed by the ncri back in 2011. In 2014, it was blacklisted by the U.S. State and Treasury departments. It is the “nerve center” for Iran’s nuclear program, with seven different subdivisions. Each is responsible for developing a different part of the nuclear bomb. According to ncri, it is still fully operational despite the jcpoa. It’s no surprise that Iran is continuing to work toward nuclear weapons. Nor should we be shocked that its missile and nuclear programs are intertwined. Iran resolutely maintains that the missile program is separate from the nuclear program. However, the ncri report clearly shows the ongoing collaboration between the missile centers and the spnd. Take Semnan Missile Center—the largest missile complex in Iran. The spnd allegedly conducts tests at this site. The site is also visited weekly by high-ranking spnd officials. Why would nuclear engineers need to spend so much time at a ballistic missile facility? Hiding behind the guise of national defense, Iran continues to block International Atomic Energy Agency officials from visiting these secretive sites—the perfect location for nuclear development wouldn’t you think? Of course, the secrecy also hampers efforts to validate the ncri claims. But history has proven the ncri to be a credible source when it comes to exposing Iran’s nuclear apparatus. The missile program is intricately linked to North Korean and Iranian nuclear programs. Any leap forward in missile development should be seen as a leap toward the acquisition of nuclear weapons! Read the full ncri report here.